York Region Therapy was founded in 2005 and is currently operated by noted psychotherapist Rose Schnabel. Conveniently situated in Aurora, Ontario we offer a broad range of counseling and psychotherapy services to individuals, couples, families, professionals and residents in the Greater Toronto Area. 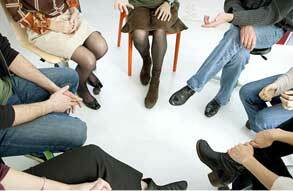 Many therapists emphasize one specific approach to therapy (i.e. a psychodynamic approach emphasizes the past, a cognitive therapist looks at your thinking patterns, behavioral therapists look at specific behaviors, etc.). Different therapists, therefore, may view various problems as stemming from different sources such as a difficult childhood, incompetent parenting, faulty thinking patterns, peer pressure, or cultural dynamics. We also provide comprehensive neurofeedback and biofeedback treatment with Board certified practitioners. York Region Therapy offers a unique opportunity for you to meet with trained professionals in a safe and confidential environment and discuss thoughts and feelings, motivations and personal challenges. We provide leading-edge methods to help you deal with a wide range of mental health and psychological issues. York Region Therapy prefers an eclectic approach designed to meet the needs of each specific client and problem within a goal oriented short-term therapy process. Taking each client’s unique history and personality into consideration, a comprehensive approach may involve the use of several theories and techniques to approach a particular problem from the perspective that appears most accurate and beneficial to the client. York Region Therapy provides Psychotherapy, Biofeedback & Neurofeedback to clients in the surrounding Toronto and York Region Ontario area -Aurora, Newmarket, Richmond Hill, Markham, Bradford, Stouffville, East Gwillimbury, King, Vaughan, Thornhill, Mount Albert, Uxbridge, Innisfil, Barrie, North York and Toronto.